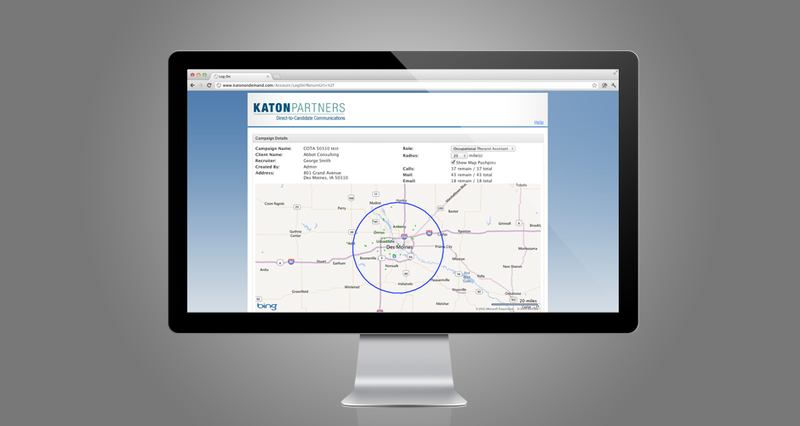 Katon needed a way to help their customers build targeted marketing campaigns based on geography. 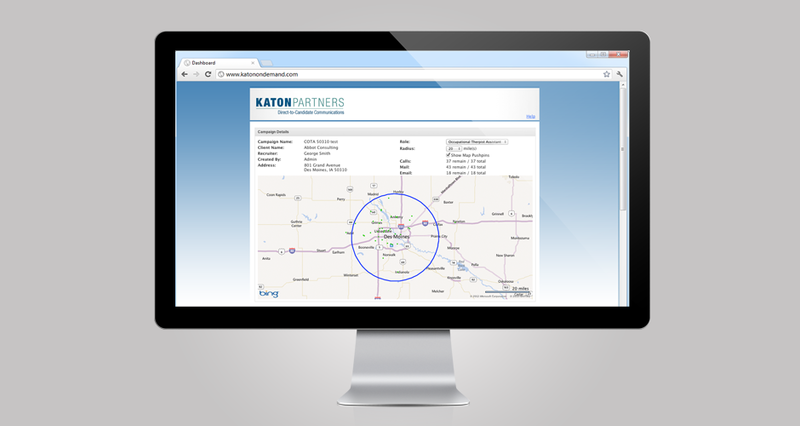 To meet this need, we built the Katon OnDemand portal. This portal allows customers to log in to a secure website, and create marketing campaigns based on proximity. The campaigns integrate with automated voice broadcasting, a variable printing system, and email marketing.